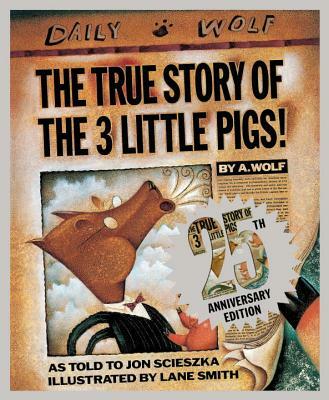 A quarter-century after publication, with over two million copies sold, The True Story of the Three Little Pigs remains as funny and irreverent as the inventive minds of Jon Scieszka and Lane Smith. Viking is celebrating this landmark anniversary with a handsome gift edition, featuring a stunning new jacket with lots of silver. And there's a surprise inside as well!